Free OST to PST Converter software that repair OST file data and save free OST emails converter data into working PST outlook with its emails properties like as:- Date and time, To, BCC, Subject, From, CC from (email sent from, subject of email). With Free OST to PST software you can restore 25 OST emails to MS outlook at free of cost under demo. Best OST to PST Converter software that helps to recover damage outlook inaccessible OST from all version like as:-5.0, 5.5,97, 98, 2000, 2003, 2007, 2010, 2013, 2016, and 2019. This Stella gives you option 100% free OST to PST converter tool that is good technology to convert OST file to PST, EML, HTML, MSG, vCard, EMLX and MBOX. 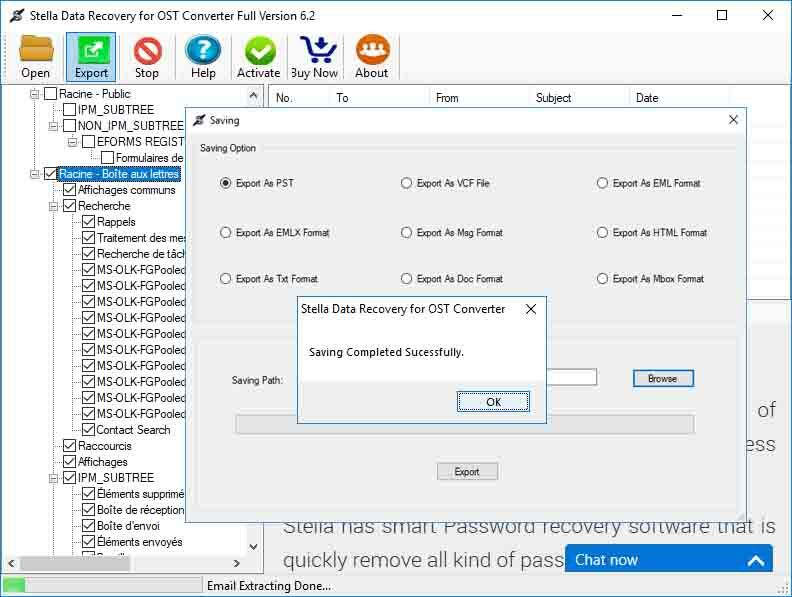 By using Stella freeware OST to PST Converter software is all OST user can get trouble free tips how to convert OST to PST manually with whole attachment of emails as: - image header, body contact and appointment without any irritation. Scope of the License You are granted a non-exclusive license to use the PRODUCT as set forth herein. With the personal license, you can use the PRODUCT as set forth in the Agreement for non-commercial purposes in non-business, non-commercial environment. To use the PRODUCT in a corporate, government or business environment, you should purchase a business license.